Wharfedale D320 review | What Hi-Fi? The original Wharfedale Diamond was introduced back in the early 1980s. Ever since then, the budget Diamond range has been the bedrock of the company’s product output. The current generation, the 11th, was launched last year and marked a subtle move upmarket, leaving a gap at entry-level price points. This is where the new Wharfedale D300 range comes in. At launch, the D300 range consists of two standmounters, of which the D320 speakers on test here are the larger and more expensive, a pair of D330 floorstanders (£499) and the D300C centre speaker (£179). It’s a focused range and none the worse for that. Though there isn’t a dedicated subwoofer, the company makes a number of suitable products that will work in any potential surround sound package. Though Wharfedale is adamant that the new D300 series is not a new Diamond range, there’s no doubt about a close relationship between the two. This is most evident in the D320’s drive units. The 25mm dome tweeter is pretty much unchanged from the Diamond 11.1 we reviewed last year, with its vented design and shaped faceplate, while the 13cm mid/bass still uses a woven Kevlar cone with its unusual foam surround. The mid/bass is a long throw unit and has a one-piece pole plate fitted with a copper cap to reduce inductance and control magnetic flux. The magnet is ceramic in a bid to get a smooth response combined with high sensitivity, and the chassis is ribbed for rigidity and designed to be as open as possible to minimise reflections. See, there's still plenty of technology in a pair of affordable speakers. Another carry over is the unusual downward-facing port. In the Diamond range, this fires into a gap between the cabinet base and a built-in plinth, but in the case of the D320 speakers, budget constraints have meant that the speakers sit on small feet and the port fires straight onto the supporting surface. Just make sure the support the speakers are placed on is wide enough to accommodate the D320’s 25cm depth and 18cm width. Wharfedale has been careful to ensure that these bookshelf speakers aren’t unduly taxing for an amplifier to drive. That’s a good thing considering the D320s are as likely to be partnered with a micro system as they are a budget separates set-up. Sensitivity is rated at a fairly typical 87dB/W/m while impedance is listed as 8 ohm compatible. Overall build is good for the money. These standmounters feel solid thanks to a braced cabinet and an unusually thick front baffle of 28mm. The engineers have taken care to round off the cabinet edges to reduce diffraction effects, but the look reminds us of Q Acoustics’ 3000i series. There are four finish options: black, white, walnut and rosewood. At 31cm tall, these are relatively small speakers, so it comes as no surprise that they sound most balanced close to a wall. We would suggest starting about 20cm out into the room and moving them around to optimise the balance between bass weight and stereo imaging. On first listening there’s much to admire here. The Wharfedale D320 speakers sound bold in a way that most similarly sized rivals would struggle to match. The integration between the drivers is nicely handled, resulting in a well-projected and clear midrange that delivers a good amount of detail and clarity. We listen to Kate Bush’s Aerial and the Wharfedales take the complex production in stride. No speaker at this level will unravel every instrumental strand, but the D320s still dig up a fair amount of detail and organise it in a musically rewarding way. While delivering a good amount of punch, they don’t quite have the dynamic subtlety of class leaders such as the Dali Spektor 2s, or the same rhythmic precision. The result is that we’re not drawn into the music quite so much, but there’s no denying the speaker’s refinement or the superb tonal balance Wharfedale has engineered. These speakers are as forgiving as they come with poor recordings, but still have the balance and openness to please with better recordings and systems. We listen to a range of music from Miles Davis’s Kind Of Blue to Eminem’s Recovery and the Wharfedales take it all in their stride. They don’t favour one genre over another, and have enough in the way of attack, tonal balance and smoothness to keep us listening. Their stereo imaging is decently expansive and stable enough to pinpoint the position of instruments, while bass, always limited in small speakers such as this, is pleasingly weighty. 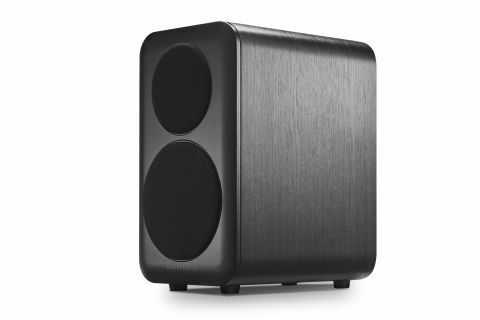 We like the Wharfedale D320 speakers. They’re easy to get along with and will work well in a wide range of systems. They’re up against some tough competition from the likes of the Q Acoustics 3010i and the Dali Spektor 2 speakers, but even against such formidable opposition, they’re still well worth considering.